Page – Center For Testmaterials B.V.
Greying occurs due to damaging of the fabric and more importantly by soil re-deposition in the wash. The soil which re-deposits mostly contains of environmental soils, like soot in the air, household dust, sebum from skin etc. Another important part consists of stains (removed) from clothing in the wash.
Next to that we also sell the wfk Greying Swatch. These swatches allow you to accelerate the greying effect, but in a less stressed situation and with comparable to real life results. The ‘socks’ contain a balanced soil composition designed to gradually deposit this during the wash cycle. 5 washes with a ‘fresh greying sock’ each simulates the effect of 30 washes in consumer households. We offer two types of products to test your formula on anti-greying performance. One is a Redeposition Liquid based on Carbon Black. This offers the possibility to do a one run stressed test. Stain removal is an important aspect of the wash performance for consumers, next to for instance colour maintenance. But consumer awareness about the fabric caring aspects of a detergent is growing as well. One of the important aspects in the performance of your detergent or washing machine is the pilling prevention quality. We carry two main products for testing these kinds of performances. Just like with the greying effects you could approach this problem from two directions: Prevention and Resolving. Next to measuring the anti-greying effect (mostly performed by using polymers in the detergent formulation), it is also interesting to see how well your formula performs in removing already occurred greying. Cellulase enzymes have a good greying removal capacity. For this you could pre-grey fabrics using one of the above mentioned greying materials. But CFT also sells standardized pre-greyed fabrics. This test cloth is excellent for pilling prevention researches. This 100% cotton test cloth is very colour fast. The pills which are formed on the surface of the fabric lose their colour. The loss of colour of the swatch in that sense is also a measurable aspect of the pilling. Other approaches usually require special lighting to make the pills better visible and compare that to photo scales or a counting method. PT-2 is excellent for the pilling cure researches, to test the performance of your detergent or machine on restoring previously pilled garments. This 100% cotton test cloth is Pre-Pilled in an industrial drum-type laundry washing machine, with a similar program as used in household washing machines. Pilling can be done with the IEC base detergent, commercial detergent, or with only water, on your specifications. The intensity of the pilling can be done according to standard values or at your own specifications. During development all CFT testmaterials are subject to two types of tests; A detergent comparison test, to detect the Discriminative Power of the product, and a dosage/response test, to test the reproducibility. Obviously we aim to create a testmaterial with a high Discriminative Power and high reproducibility. During production and processing we also check the within-batch variability. Our standard rule to accept 2% point variation within one side of the fabric. Due to several reasons it can be that the two sides vary more than 2% point from each other, the darkest side is then always marked as front. For very dark testmaterials we only accept 1% point of variation. All the material outside these boundaries will be disgarded. C.F.T. soiled testmaterials are always subjected to a strict quality control before delivery. The main criterion here is the response to certain treatments within a wide range of concentrations. The most recent results of these Quality Control tests are published on our website. 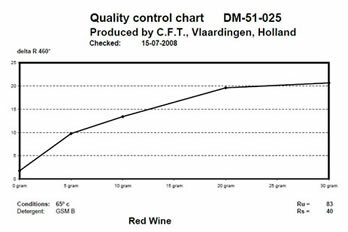 You can download the QC-sheets with the following link: Download a QC-Sheet Below you can see an example of such a Quality Control Chart. Except for the response, it gives the Ru = unsoiled reflectance, and Rs = soiled reflectance values. The necessary tests are being performed by means of a 7 kg Wascator FOMLAB machine, in which the main wash is carried out in 1 litre polyethylene bottles, each filled with 500 ml of stock solution in an increasing concentration. At the end of the main wash, the bottles are pored empty into the machine and subsequently a normal cold rinse cycle is being carried out. After the rinse cycle, the washed pieces of test fabric are dried, in most cases ironed, and next the reflectance is measured at 460nm. The Rs values are kept as constant as possible. Nevertheless, variations may occur due to batch-to-batch variations in the natural raw materials. From these values, the difference in reflectance – ∆ (delta) R can be calculated (∆R=Rw-Rs) and used as a measure of soil removal. Sometimes the unsoiled reflectance Ru is used to calculate the absolute soil removal. A lot of testing is being done in the industry according to all kinds of standard protocols. Especially in the machine testing industry there is a high level of standardization of tests; Such as the IEC 60456 protocol for machine testing and awarding Energy labels. 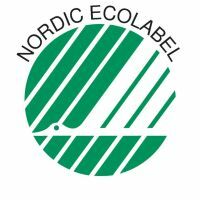 This international standard is used in Europe, a derivative is being used in the USA under AHAM standard and in Australia and in other parts of the Southern hemisphere the AS/NZS Standard is applied to award the EnergyRating.There have been numerous of test methods which were used for detergent testing. The last few years we have seen more movement towards standardization and consensus. 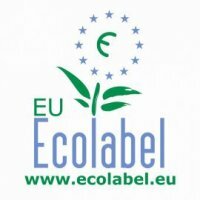 The two main exponents from that are the AISE-protocol and the Ecolabel-standard. And these two standards are also moving closer together. Especially the AISE-protocol is a base standard that means it leaves a lot of room to add other stains or testmaterials as well, so that you can better incorporate the protocol into your own protocols. Both protocols incorporate a section on colour management as well. For dishwash tests the most important standard is the IkW standard test protocol. This requires a lot of testmaterial preparation in-house. 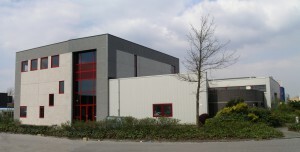 CFT has developed her own method using standardized soiled tiles which are commercially available and can form a welcome addition to IkW test. Next to the choice of testmaterial other consumables are needed to perform laundry tests as well. For instance the ballast load to which the tracer stains and testmaterials are added. A consistent and reproducible load is important, because it can have a significant effect on the test results. Often a standardized soil ballast load is added to the clean ballast load items to mimic a soiled consumer wash load. Of course you will need the formulas for your tests and it is recommended or obliged to use a standard reference detergent as well. All these consumables can of course be bought through CFT as well. IEC 60456 Wool ref. liq. We are proud to inform you that with few exceptions all our prices have remained unchanged. A minor percentage has been increased but a for a larger group we have even lowered the prices, due to some improvements in the efficiency in production of these products. As always this pricelist also include products produced by WFK Testgewebe, Swissatest and Testfabrics Inc., which you can buy through CFT. CFT is also an official distributor of Warwick Equest produced stains, prices of these products are available at request. Next to the listed products we can also prepare all kinds of custom made or other exclusive products. Standard delivery incoterm is DAP; other conditions possible on request. Delivery time for stock kept items is usually one week. Delivery time for items that are not in stock or custom made is 2 or 3 weeks. Administration costs € 25,- per order for orders less than € 1000. Ordered items, ordered in quantities which are not dividable by 5m will be charged extra re-packing costs of € 5,- per item. Payments are due in 30 days. When paid within 8 days from invoice date, a discount of 2% can be withdrawn. We use DHL as standard courier. For large amounts we use consolidated air freight. The AS-Series’ products were the 13 products which CFT started their business with in 1989. These testmaterials can be categorized as ‘technical’ testmaterials. Not so much consumer realistic but designed to show well discriminating and reliable results. Ten years later after CFT had developed a large number of other testmaterials in the Consumer Soils Series (CS-Series), the article coding was changed. The Artificial Soil Products like AS-01, are now known as C-01 etc. This was done to make sure the first letter of the product code corresponds with the substrate material (C-01 for cotton, W-01 for wool, PC-01 for polycotton etc.). Our CFT website is completely being renewed. We will show lists of testmaterials and other consumables needed for detergency tests according to several protocols. You can find all our most recent quality control information online and you can find the right ordering forms, research reports, pricelists etc. R&D is a vital aspect of our company; we need this to be able to introduce new type of products or the format in which we offer them. One of the most striking examples is the constant development of our new Multi Area Colour-measuring Hardware: the MACH 5. Environmental issues are also important topics within CFT. 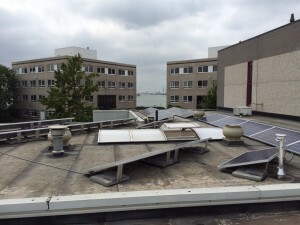 Our latest addition in our green transition is the addition of Solar Panels to our roof.